Hey guys! It’s Leigh from The Applicious Teacher! 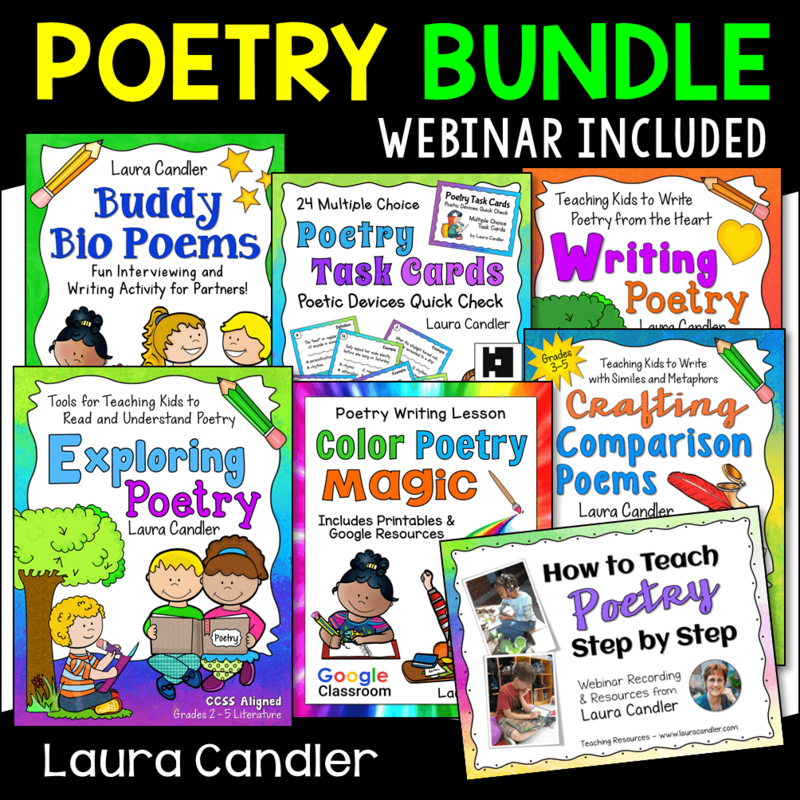 I am super excited to be blogging at Corkboard Connections today. 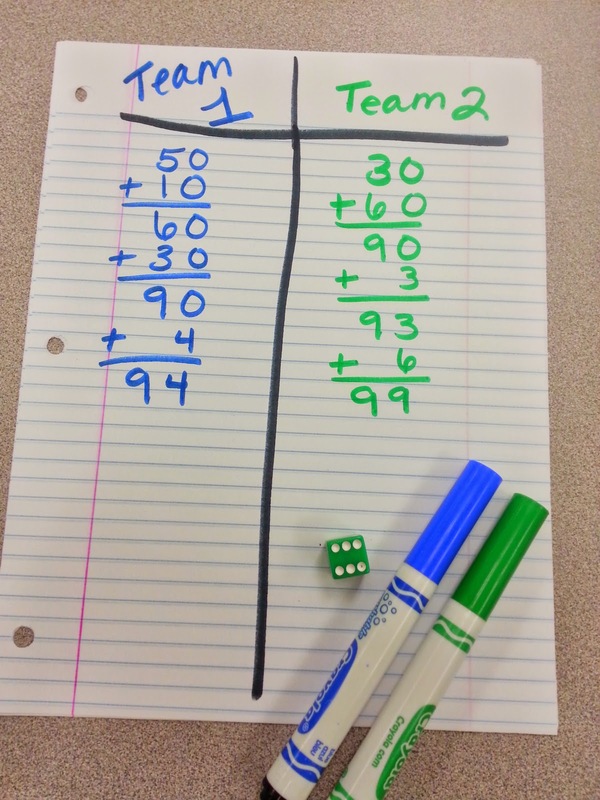 I’m sharing a practice that I use to help increase my students’ engagement and number sense during my math block. 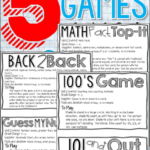 Do you play games in your classroom? Wait… what?! No time? Well… you should make time! Especially during your math time. To me, math and games go together like Nutella and pretzels. Delicious separate, but amazing together. 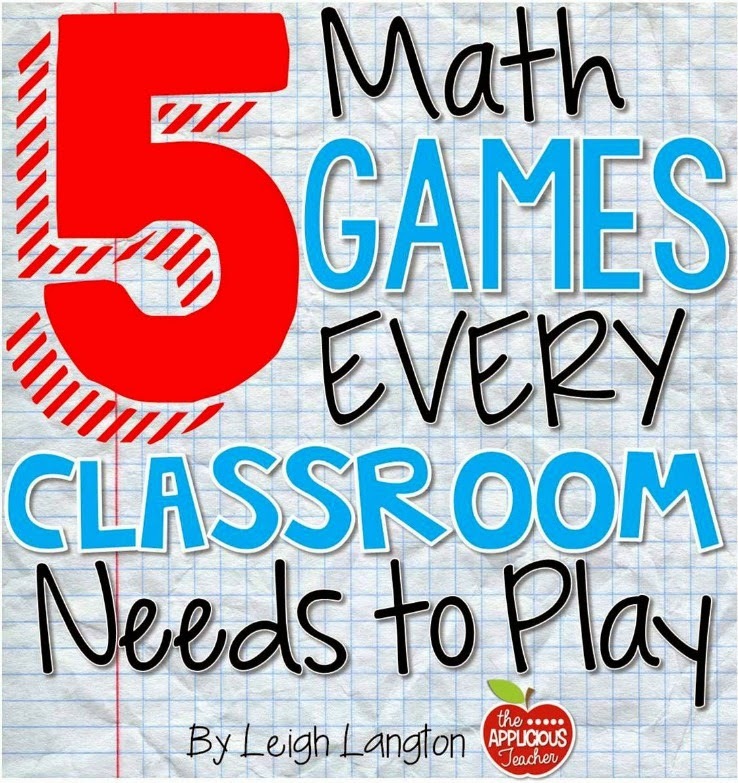 As a third grade teacher, I know how limited our time can be, so I am here to share with you 5 math games you should take the time to play this year! All of these games are fun, easy, and require little to no prep. They are math games that I’ve played for years with my second graders. 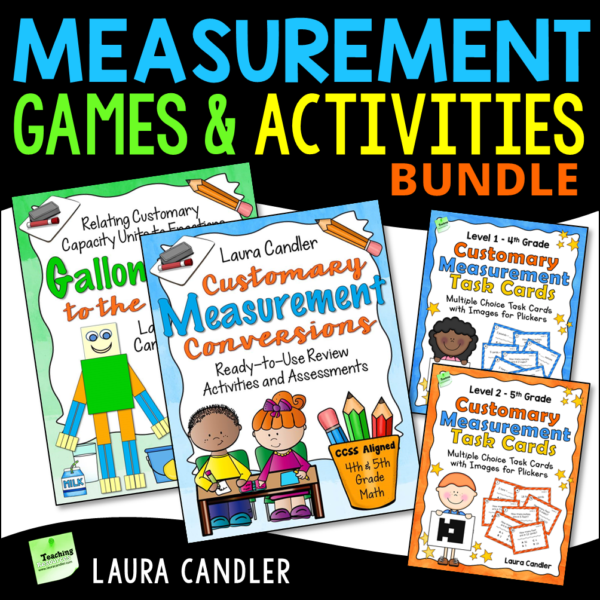 When I moved up to third, I was able to easily modify these games for my new “big kids”. This game can be played in a k-5 classroom. It is perfect for building number sense and it’s only prerequisite is that students can count. There’s no supplies needed to play and my kids loved playing this as a “brain-break” before math. Have your class stand in a circle. Moving in a clockwise direction, have the students count out loud until they get to a hundred. The person who says, “100” sits down. The last person standing, WINS! To play, students take turns rolling the dice. As they roll, they can either take the number as a one or a ten. For example, if a student rolls a 5, they could take it as a 5 or a 50. Students keep a running record of their total as they play. I love how the kids start to form a strategy for what numbers they want to roll next. It’s a great way to build mental math strategies. To introduce this game, I usually play it as, “The Teacher vs. The Class”. This allows time for modeling while keeping the kids in on the action. What class doesn’t love beating the teacher? They always want to play again if I win the round. This game works best in longer stretches, so multiple rounds can be played. 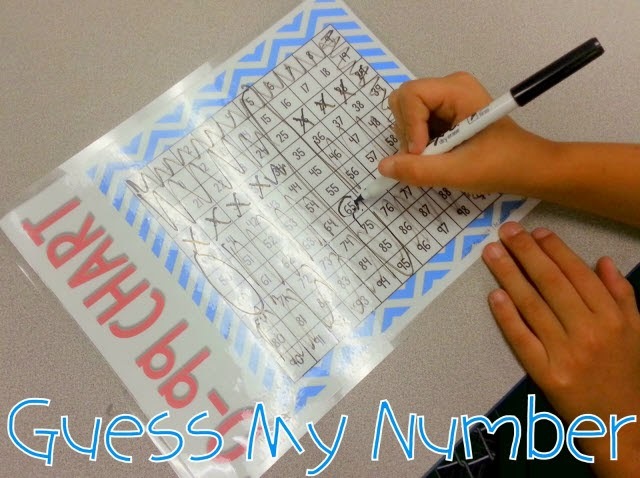 I usually like to use it at the beginning of the year as a class game before math centers. 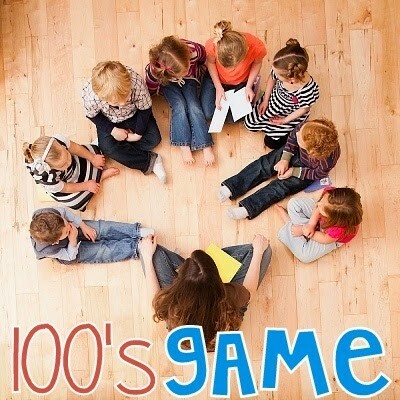 It then becomes an easy and fun game for the kiddos to play during math centers. Seriously, hands down, my class’ favorite game to play! This game is perfect for inside recess as the whole class can play at once and everyone is excited for the game. The object of the game is to guess the other player’s number before they guess yours. 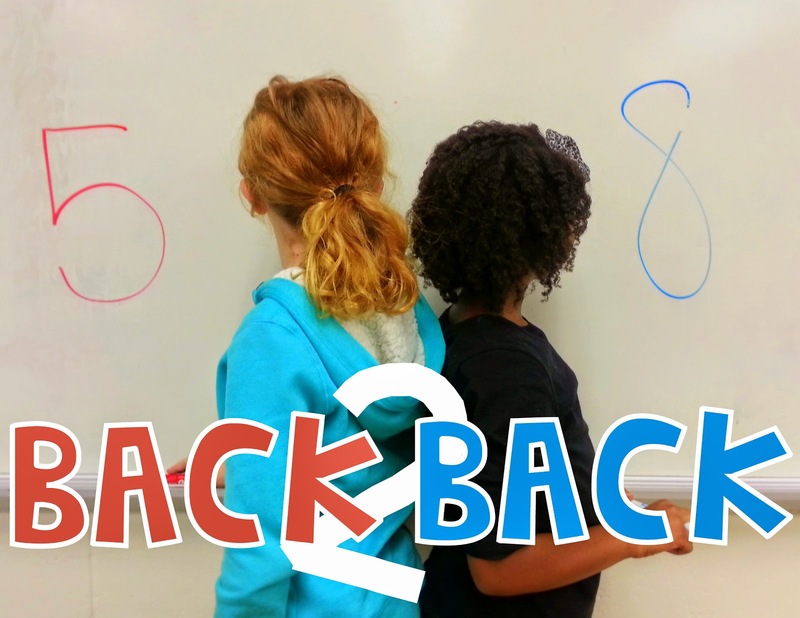 To play, two students come up to the board and stand back to back (hence the name). This allows for the students to write on the board, but blocks their view of the other person’s number. The “Caller” states, “Numbers Up”. 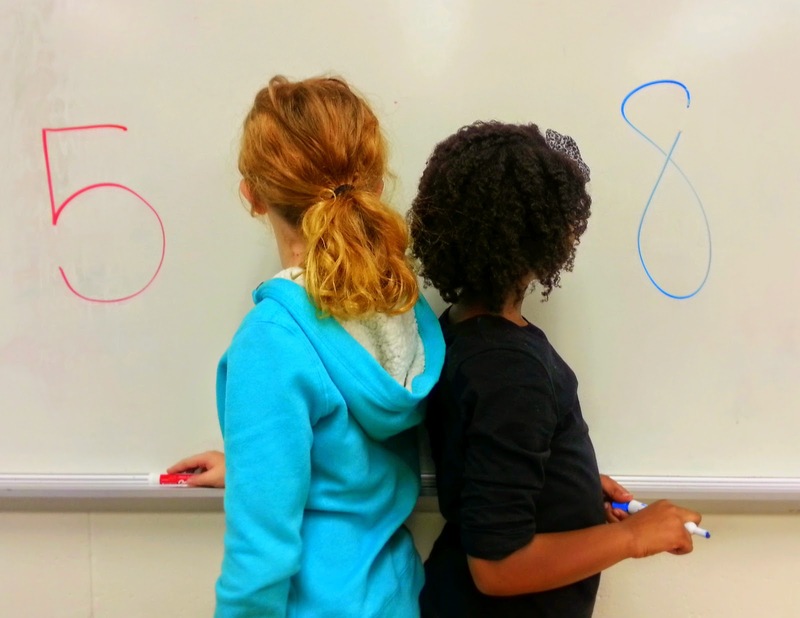 This signals the two students write a number of their choice on the board. I usually play with numbers 2-9 to keep kiddos from dwelling in the 0’s and 1’s easy train, but you can play with numbers as high or as low as needed for your group of kids. The caller then states the sum (for younger students) or product (3rd-5th) of the two numbers. The students use their understanding of math facts to figure out what they other person’s number is when added or multiplied by their number. The first player to say the other person’s number wins the round. The “loser” gets to choose the next person to come to the board. Please be warned… this game can get a little rowdy as students win and lose rounds and somehow the teacher always gets pulled up to “clear out” a player who’s been up a little too long… But it’s a lot of fun and well worth the 10-20 minutes! Beats the repetitious practice drills of flashcards! This next game is very versatile and can be modified in so many ways! It can be played in kindergarten all the way through 5th grade classrooms. 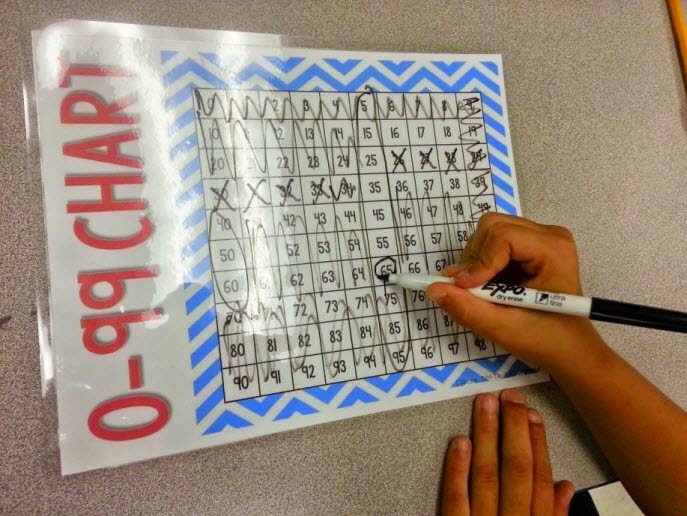 To play, you need a number chart and a dry erase marker. This game can be played whole group, in pairs or in small groups of 3-4. To begin, one student chooses a number. The other players try to guess the number by asking a series of questions. The student crosses off numbers it can’t be and circles numbers it could. The person who guesses the right number, wins and gets to choose the next number. The best part of this game is that it can be played with laminated personal hundreds charts in small groups. It can also be played as a whole group game using a large chart. For third grade, I encourage the use of question clues like “Is it a multiple of 5? 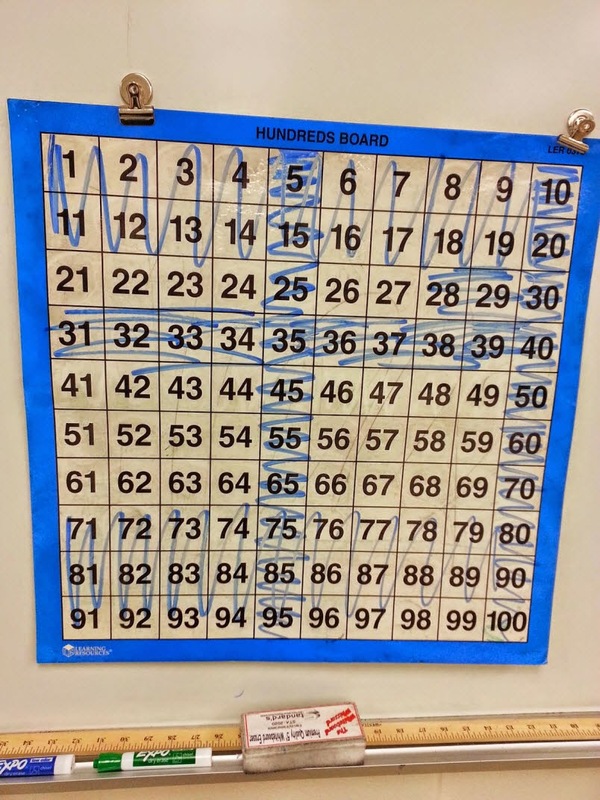 Or greater than 70?” To introduce the game, I usually model crossing out numbers as students ask questions about the numbers and help link the clues to finding the right number. For a kindergarten or first grade classroom, you may want to play with a number line with numbers 1-20. Then, students could ask if the number is bigger or smaller than numbers within that range. A 4th or 5th grade classroom can beef up the game with question clues like, “Is it divisible by 3?” or “Is it a multiple of 5?” The possibilities are endless! Time range to play can be from 5 minutes to 20 minutes and can be used as an inside recess game or a quick brain break before or after a lesson. 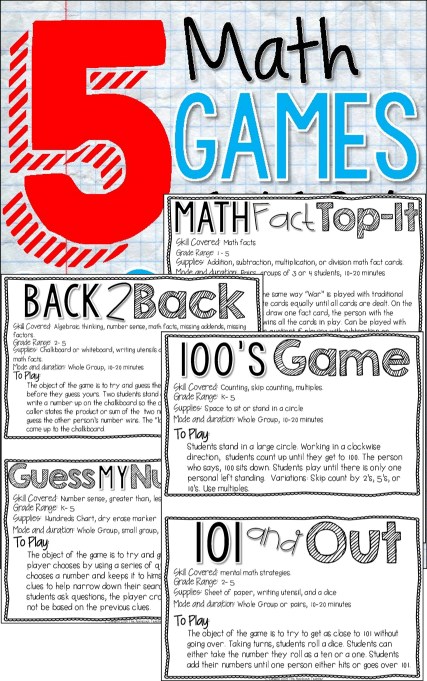 This last game works well in 1st through 5th grade classrooms and is best played in groups of 2-4 students. All that is needed to play are math fact flash cards. 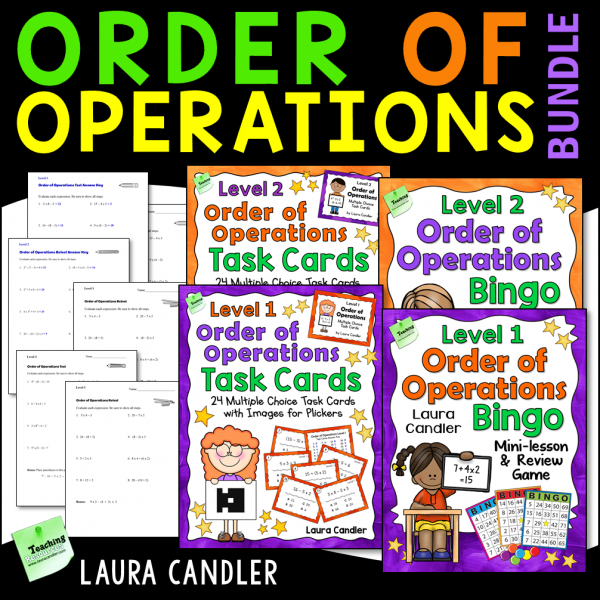 You can use addition, subtraction, multiplication or division cards. It just depends on where your students are in their math skills. I like to think of this game as “War for the classroom,” as the rules for the traditional card game apply to this math fact version. To play, students divide the flash cards evenly among all players. Then, on the count of three, all students throw down a card. The card with the highest sum or product wins all the cards in play. This can be modified to lowest difference or quotient. If students have the same answer, then they play each other again, with the winner capturing all the cards in play. Students play until all the cards are won. The student depending on the flashcards you are using. with the most cards at the end wins. 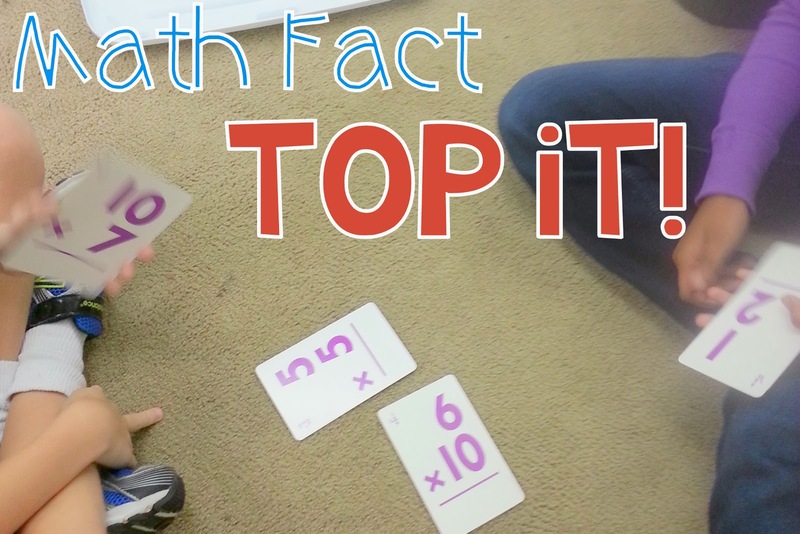 I find this game works best in math centers and is an easy way for students to practice their math facts in a new and unique way! So go forth and play! Get your students engaged and learning in the new year! If you’re not sure you’ll remember all these games I shared today, I’ve compiled all the directions in one file for you. 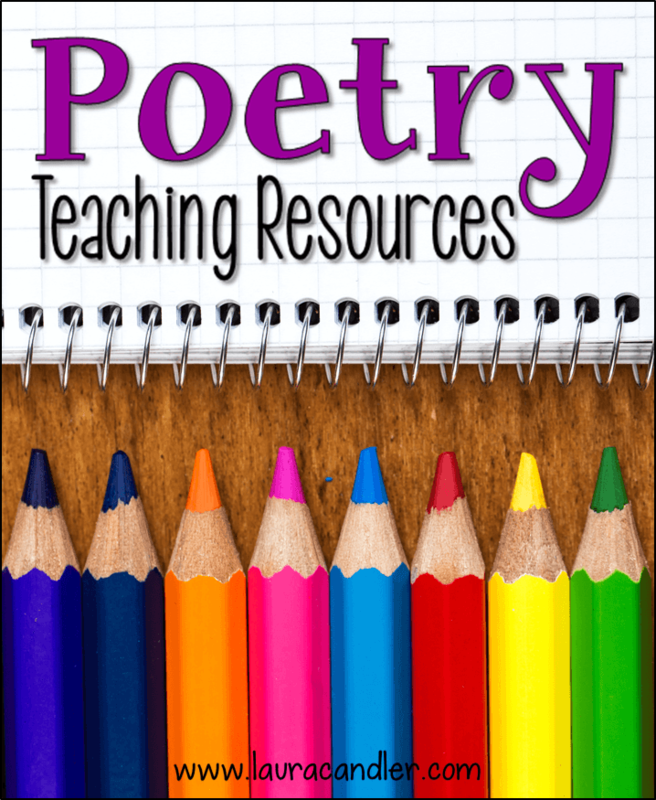 It’s available here at my TpT store! Leigh is a wife, mother, and a second-grade- turned-third-grade teacher. She currently resides in Central Florida where she has been teaching for 7 years. When Leigh isn’t teaching or writing for her teacher blog, The Applicious Teacher, she enjoys snuggling up with a good book, running a few miles, or spending time with her family.